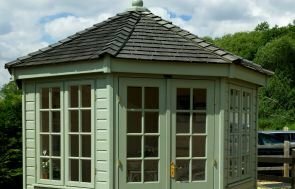 One of our attractive Wiveton Summerhouses was recently installed for a customer based in Market Harborough, Leicestershire. 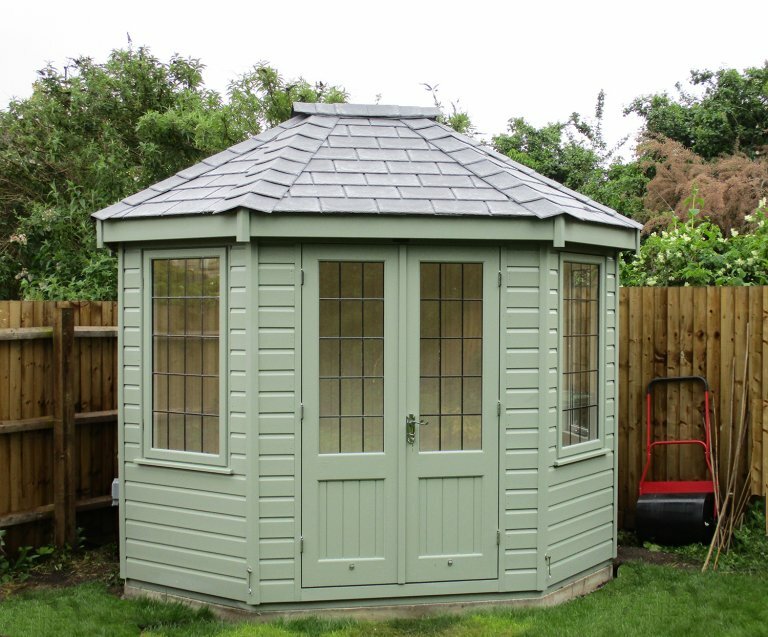 Measuring 2.4 x 3.0m, the summerhouse was designed and hand-built at our Norfolk factory before being delivered and installed at the customers address by our team of expert fitters. Internally, the building benefits from full insulation and a natural lacquer on the floor, making it fully functional all year-round and protecting it against any scuffs or furniture marks. The customer opted for painted lining meaning that the building is airy and light inside as well as completely ready to be used. 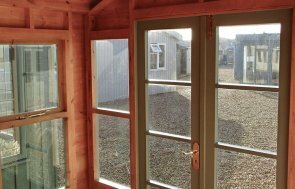 In order to see our high-quality buildings for yourself, we suggest you pay us a visit at your nearest show centre. With centres based all over the country, we have one in Staffordshire at the Trentham Garden Centre. Alternatively, you may prefer to get in touch with us via telephone instead.